The safety and security of your building, assets and people is a fundamental responsibility. 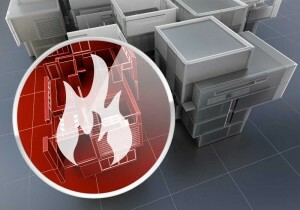 Fire alarms and detection systems play an essential role in ensuring the long term value and functionality of your building and business, whilst protecting employees and assets. Life Safety Services specialise in the design, supply, installation, servicing and maintenance of fire alarm systems. In addition we can provide air aspirating systems, fixed extinguishing systems and voice alarm systems. We offer 365 day 24 hour call out facility, together with design and installation services throughout Scotland from our Uddingston base. Company philosophy dictates that we use only open protocol equipment which allows our clients to decide who provides the servicing and maintenance of their Fire Alarm Systems rather than being dictated by the closed protocol system suppliers. LSS have forged relationships with the UK’s leading suppliers of both conventional and analogue addressable equipment. Please click on the equipment images for specifications/downloads.